Karen Ann Walker was born September 13th 1948 in Mulberry AR, the daughter of Raymond Walker and Faith Camp. Karen and Doug moved from Missouri to McHenry, ND in 1973 and were married on July 4, 1973. In 1979 they moved to South Heart, ND with their three sons. They moved to Elk Mound, WI in 1998. Her hobbies were landscape painting, rock hunting, panning for gems and gold, crossword puzzles and spending time with her grandchildren. 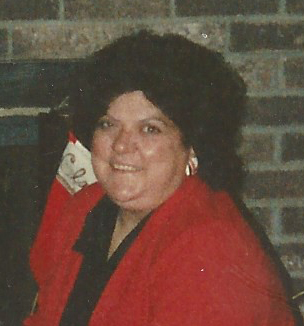 She passed away July 15th 2018 at home with her husband Douglas Farnsworth after an eighteen year battle from cancer. Karen is survived by her husband Douglas Farnsworth of Elk Mound WI, Son Brian Farnsworth (Wanda Wock-Farnsworth) of Dickinson ND and his children Briana, Garrett and Connor Farnsworth. Son Clay Farnsworth (Tiffany Farnsworth) of Dickinson ND and their children Bailee, Brylee and Braelynn Farnsworth. Son Matthew Farnsworth (Andrea Farnsworth) of Elk Mound WI and their children Clair and Kelsey Farnsworth. She was preceded in death by her father Raymond Walker, mother Faith Camp and son Grant Young Farnsworth. Karen will be greatly missed by her family and friends. Visitation: One hour prior to funeral service at the funeral home. Funeral Service: Thurs., July 19th, 2PM Evans Funeral Home, New Rockford, ND. Burial: Bethlehem Cemetery, McHenry, ND. Message: My deepest sympathy to you Doug and your family. Cherish your memories. Hugs and prayers. Sorry to hear of Karen’s passing. We enjoyed our visits, back in your days in Dickinson. She will be greatly missed. Our love to you and hope we can stop in soon when coming through Elk Mound. Our sympathy to the Farnsworth family. Doug & Kids…. I am so very sorry to hear about Karen, I’ve thought of you all many times since moving away. My very deepest sympathy.